5000 METRES SOLD PER CONE. CLICK ON SHADE CARD FOR COLOURS. 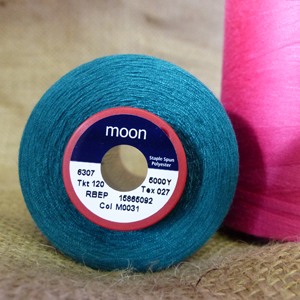 Moon is an all purpose 100% staple spun polyester sewing thread for everyday usage on medium weight fabric. Moon represents the economical end of the Coats sewing thread options.